Our signature mini donuts will be the talk of your event. 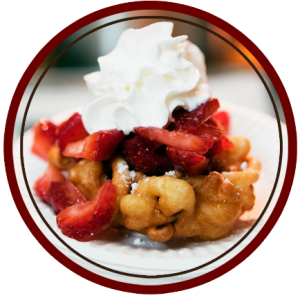 We bring our donut machine to you and make hot, fresh donuts for your guest while they watch. 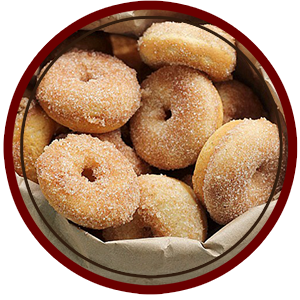 The mini donuts are lightly sprinkled with powdered sugar or cinnamon sugar. Simply Delicious!!! 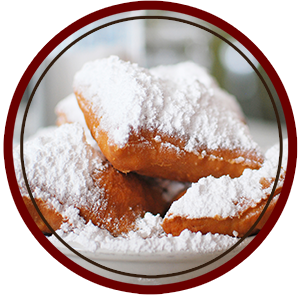 Beignets are a French pastry commonly known in New Orleans as breakfast served with sugar on top. They are prepared right in front of you to be eaten fresh and hot. This creole cuisine will be a tasty showcase at your event. 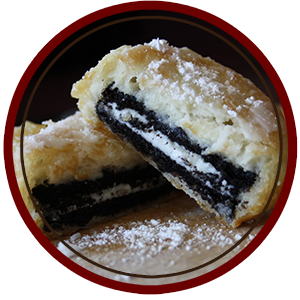 If you like our mini donuts and you like chocolate then you will Love our fried oreos. These sweet treats are the best of both worlds lightly dusted with powdered sugar. 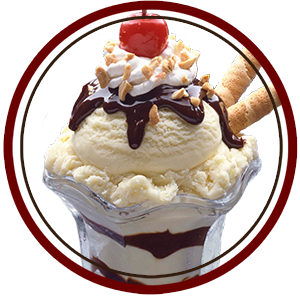 A sweet ice cream dessert in various flavors topped with multiple sauces, fruits, cookies, candies and whipped cream. 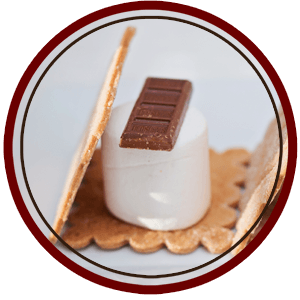 Roasted marshmallow and a layer of chocolate sandwiched between two pieces of graham crackers….Yummy! This family favorite is created with an assortment of chocolates, flavored marshmallows and a variety of graham crackers. A delicious cold beverage made of milk, ice cream and a sweet flavoring such as fruit or chocolate whisked together until nice and frothy. 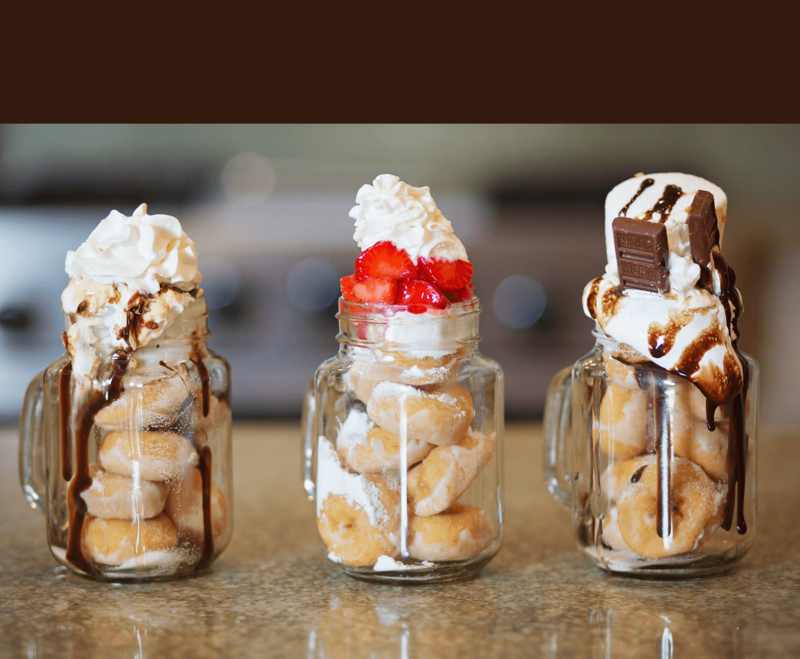 We garnish it with an array of toppings that includes whipped cream, nuts, cherries caramel etc. 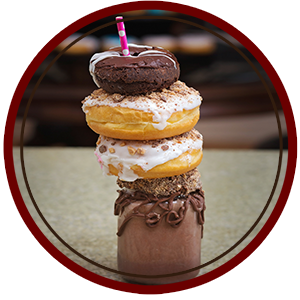 If you really want to add an additional treat to compliment your shake, top it off with one or more of our gourmet donuts. 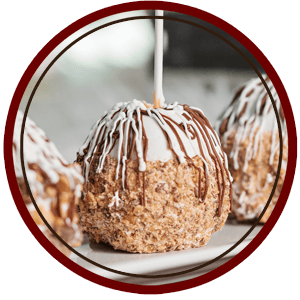 A delicious apple on a stick coated with a layer of caramel, chocolate or both with options to be dipped in peanuts, toffee, cookies, sprinkles and much more.